Friday 9.21 When art forms get commercialized, talent often goes unnoticed. 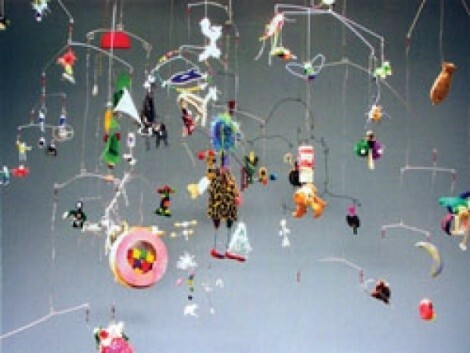 Take, for instance, mobiles—now appearing in virtually every nursery where they hang over cribs to entertain infants. But Art Access II Gallery wants to recognize the medium, invented by sculptor Alexander Calder, in its latest exhibition MOBILITY: KINDRED SPIRITS GROUP STUDENT EXHIBITION. Artists Lenka Konopasek and Cordell Taylor collaborated with disabled children from the nonprofit Kindred Spirits to create 3-D mobiles in many shapes and sizes—again making the mobile more than a toy. Mobility: Kindred Spirits Group Student Exhibition @ Art Access II Gallery, 230 S. 500 West, 328-0703, Sept. 21-Oct. 12. Reception: Sept. 21, 6-9 p.m.
Tuesday 9.25 It’s hard not to see parallels between GORDON CAMPBELL’s own life and the plot of his debut novel Missing Witness. Campbell, a successful lawyer at a local firm, certainly shares attributes with his book’s criminal-attorney protagonist. But did that fictional character spend 25 years waiting to get a book published only to be championed by The King’s English’s own Betsy Burton to get it published? I think not. Gordon Campbell @ The King’s English, 1511 S. 1500 East, 484-9100, 7 p.m.